Hello Everyone! So today it's time for my very first recipe. 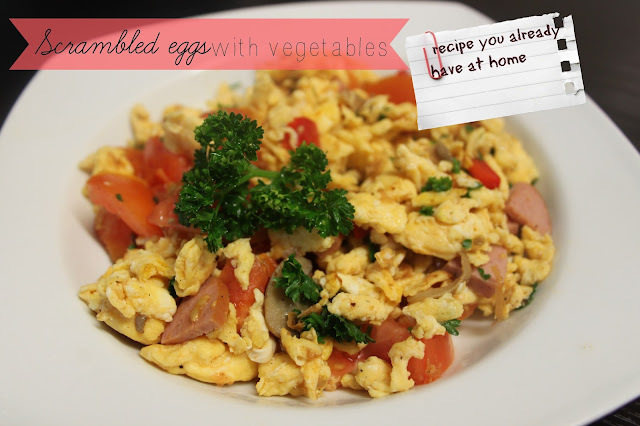 Scrambled eggs is a quick and easy dish that you can do with things you already have at home. 1. Prepare the eggs. Break 2-3 eggs per person into a bowl of jug. 2. Mix well until the colour is yellow. 3. Heat a pat of butter in a frying pan. Move the pan by its handle, so that the melted fat glides around and coats the entire pan. 4. Watch that as the eggs start to cook, the mixture solidifies. As soon as this starts happening, move the mixture around the pan. 5. 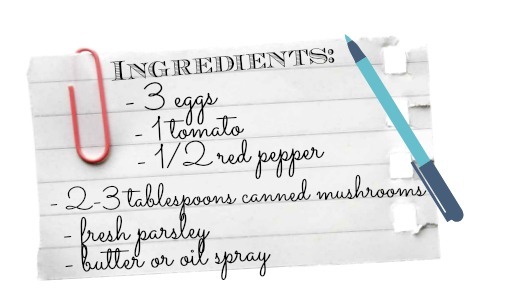 Put all the other ingredients in the pan. Move all around and see if your eggs are almost cooked. Your eggs are done after there's no liquid left in the pan. Et voilà you have your scrambled eggs! Hope you enjoyed reading this type of post!